We are proud to have Dr. Bryan K. Williams as our 2019 keynote speaker. Dr. Williams is a high-energy, dynamic speaker, who educates and inspires professionals to be consistently exceptional. He will be speaking on 7.5 Leadership Keys to Sustain Excellence on Your Team. His workshop will help leaders develop a strong team that consistently exceeds expectations and will explore the daily leadership habits and proven tactics to sustain excellence on any team. 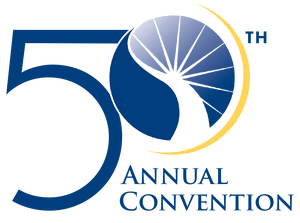 In honor of our 50th annual convention, the New York Chapter of the American College of Health Care Administrators will honor the work and contributions of our past presidents. Check back soon for an updated list of honorees! Come connect with peers, network with business leaders and get expert training with the opportunity to earn 17.0 continuing education credits.